Have you ever wondered how realtime text translation works? Google, Microsoft Machine learning algorithm is one of the best out there. With the popularity of Google Home, Amazon’s Echo, Cortana and Alexa I’m sure you know how those home gadgets translates your voice and questions in realtime and gives you an answer. Text on those sites translate in realtime to specific characters. Some examples are English to Chinese, Latin to English and so on. Do I have Microsoft translator api Java example? Sign in using your Microsoft / Outlook ID. If you don’t have outlook.com ID then sign up for one. Azure is one of the leading industry standard cloud provider after Amazon AWS. It provides support for number of languages and frameworks. Click on Create a resource from left navigation. Search for Translator Text in search bar. On Next screen click on Create button. Above step will create new Resource under Type Cognitive Services. Click on Show access keys… and you will see two API Keys: KEY1 and KEY2. Just save those keys and we will use those in below Java program. In this tutorial we are using OkHttpClient to make POST call. There are number of ways we could make POST call as you see in Java.Net.URL and java.net.URLConnection. OkHttp performs best when you create a single OkHttpClient instance and reuse it for all of your HTTP calls. Logic is very simple. Each client holds its own connection pool and thread pools. Reusing connections and threads reduces latency and saves memory. So it’s not advisable to keep creating new client each time. Just OkHttpClient crunchifyClient = new OkHttpClient(); once and you use that through out your project. Once we create client, we will create POST request using RequestBody, MediaType, Request and Response objects. newCall prepares the request to be executed at some point in the future. Once we get response we will just beautify response and will print on Eclipse console. Please make sure to update Key value for microsoftBingAPIKey. // Factory for calls, which can be used to send HTTP requests and read their responses. // This function performs a simple POST call to Microsoft Translator Text Endpoint. // An RFC 2045 Media Type, appropriate to describe the content type of an HTTP request or response body. // An HTTP request. Instances of this class are immutable if their body is null or itself immutable. // An HTTP response. Instances of this class are not immutable: the response body is a one-shot value that may be consumed only once and then closed. // All other properties are immutable. // A class representing an element of Json. It could either be a JsonObject, a JsonArray, a JsonPrimitive or a JsonNull. // fromJson(String, Class) methods on it. Gson instances are Thread-safe so you can reuse them freely across multiple threads. // return simple JSON. Converts a tree of JsonElements into its equivalent JSON representation. Just execute above program in Eclipse IDE as Java application and you will see below translation result. This is Crunchify! How are you? 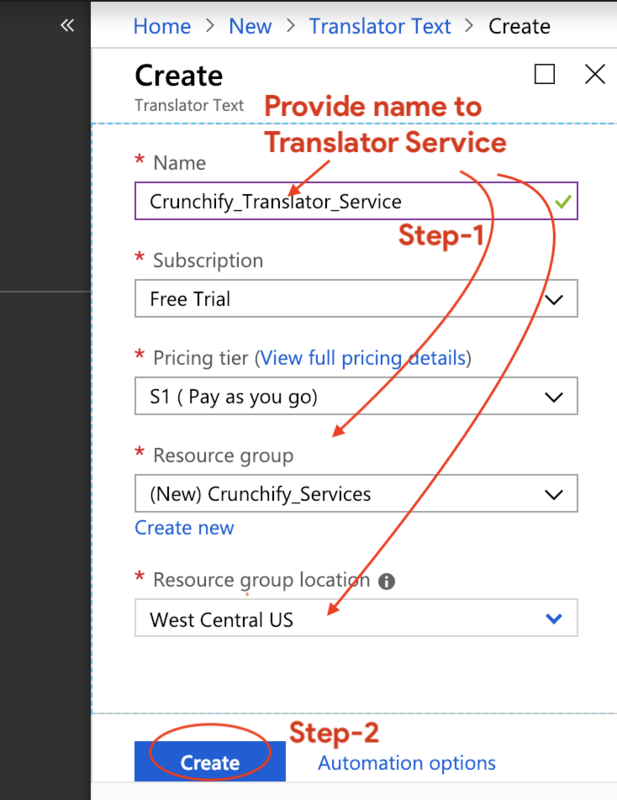 This is very simple Bing/Microsoft Translator Text v3.0 API tutorial. 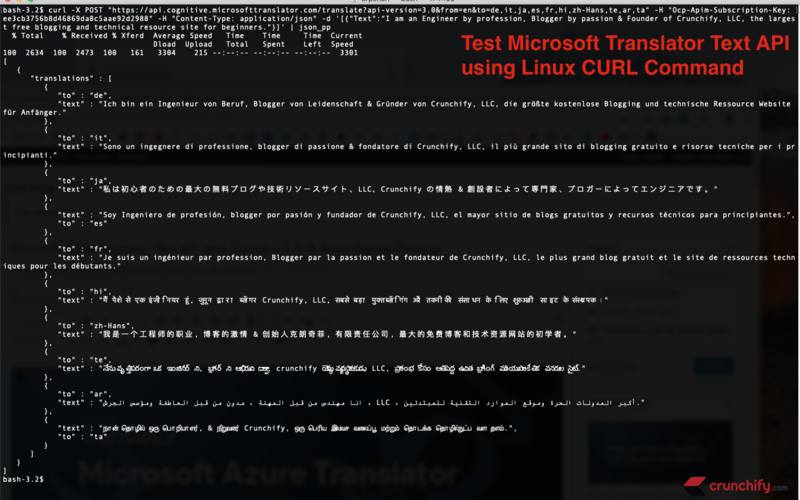 How to test Microsoft Translator Text API using Linux CURL Command? Just execute below cURL command and you will see result in Mac OS X terminal window. Here is a same screenshot about below test and result. "text" : "Ich bin ein Ingenieur von Beruf, Blogger von Leidenschaft & Gründer von Crunchify, LLC, die größte kostenlose Blogging und technische Ressource Website für Anfänger." "text" : "Sono un ingegnere di professione, blogger di passione & fondatore di Crunchify, LLC, il più grande sito di blogging gratuito e risorse tecniche per i principianti." "text" : "私は初心者のための最大の無料ブログや技術リソースサイト、LLC、Crunchify の情熱 & 創設者によって専門家、ブロガーによってエンジニアです。"
"text" : "Je suis un ingénieur par profession, Blogger par la passion et le fondateur de Crunchify, LLC, le plus grand blog gratuit et le site de ressources techniques pour les débutants." "text" : "मैं पेशे से एक इंजीनियर हूं, जुनून द्वारा ब्लॉगर Crunchify, LLC, सबसे बड़ा मुक्त ब्लॉगिंग और तकनीकी संसाधन के लिए शुरुआती साइट के संस्थापक ।"
"text" : "我是一个工程师的职业, 博客的激情 & 创始人克朗奇菲, 有限责任公司, 最大的免费博客和技术资源网站的初学者。"
"text" : "నేను వృత్తిపరంగా ఒక ఇంజినీర్ ని, బ్లాగర్ ని అభిరుచి ద్వారా, crunchify యొక్క వ్యవస్థాపకుడు, LLC, ప్రారంభ కోసం అతిపెద్ద ఉచిత బ్లాగింగ్ మరియు సాంకేతిక వనరుల సైట్." "text" : "انا مهندس من قبل المهنة ، مدون من قبل العاطفة ومؤسس الجرش ، LLC ، أكبر المدونات الحرة وموقع الموارد التقنية للمبتدئين." 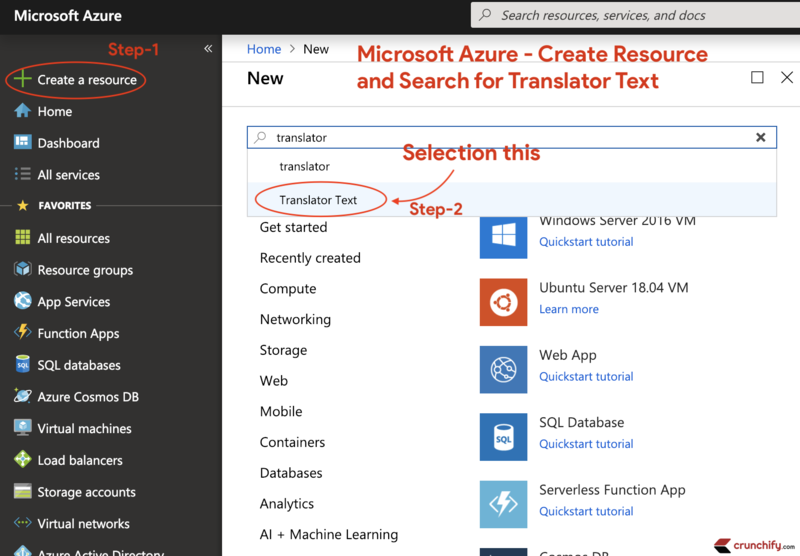 I hope this tutorial helps you implement Microsoft / Bing / Azure’s Translator Text API to your Project easily. We are using v3.0 Translator Text specification in our program. As usual let me know for any question. How to get Process ID and Live Threads of a Java Application?